At Colour Black Productions our experienced, creative and highly professional team offer an extensive range of video production services. We can guide you through the whole video production process from initial concept ideas and storyboards to professional filming and on to the editing for the final cut. Our customers are often looking for a specific type of video for a purpose. So at Colour Black Productions we produce a range of different creative styles and types of video to help you translate your message effectively to your audience. This type of video is great for regular content production. It engages your audience, offers them real value in the form of information and helps them get to know you and your company better. Again, this kind of content is ‘evergreen’ and can be used in multiple ways across your platforms. One of the most powerful ways a company can engage their customers is to tell their story. Who they are. What they do. And most importantly, why they do it. This is the kind of content that can be used again and again; in presentations, on websites, on social media posts. We pull all our creative expertise together for this one to help create a video that will serve your business for years to come. Online video content is becoming a key way for people to satisfy their information and entertainment needs. It therefore makes sense to use video in your marketing strategy. At Colour Black we are specialists in online video content and we will ensure that your content is dynamic, creative and relevant to your audience so that viewers will spend more time interacting with you and your products or services. Have you got a story that you want to tell? Is it something you are passionate about? Then creating a story telling video is a great way of getting yourself heard. Whether you are looking to inform, educate or entertain then we can help you build your story line and deliver a memorable message with impact. Documentary videos can be very appealing. They can provide your viewers with an insight into people, places and topics which they have never considered. They are very captivating and can add depth to any marketing communication plan. If you are looking to impart knowledge to your clients or wanting to tell a story you care about, documentary video is definitely for you. A Vlog or video blog is a blog that contains video content. Vlogs are becoming increasingly popular in the social media world and is a great way to engage your audience. If you are looking to produce and distribute regular content and build an audience then vlogging is for you. We will work with you to produce professional video that attract a valuable audience and build your brand. 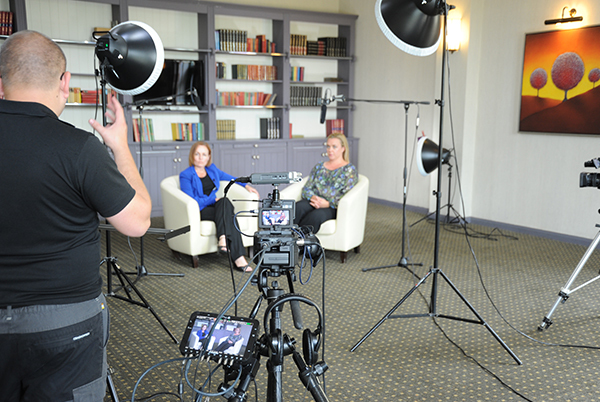 Capturing your event on film gives it a reach far beyond just the people that could attend. It also works as a great promotional tool for any future events. We’ve covered everything from large-scale conferences with multiple speakers to graduations to charity fundraisers. Our eagle-eyed camera and sound crew won’t miss a beat, and will make sure the best bits of your day are recorded. Please contact us with your requirements and we will work with you to create bespoke video content for your business. Give us a call – we’d love to see how we can work with you. © 2019 Colour Black Productions. All Rights Reserved.